Ballet Hispanico celebrates its 25th season at The Joyce. Award-winning tenor Javier Bernardo of Chicago Lyric Opera stars in Emilio Arrieta's 1887 opera Marina staged by Teatro Lirico of DC. 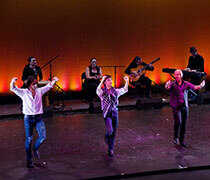 Flamenco's finest dancers and musicians from Andalusia perform in Miami as part of Flamenco Festival's 2013 U.S. Tour. 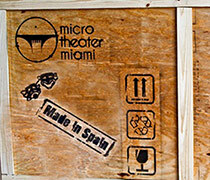 Due to the success of the five previous editions, Microtheater becomes a permanent project in Miami. 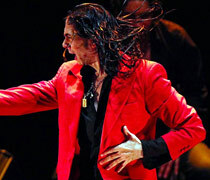 Flamenco's finest dancers and musicians from Andalusia perform in Tampa as part of Flamenco Festival's 2013 U.S. Tour. 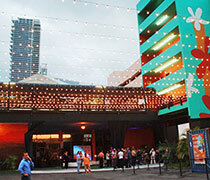 Founded in 1956 by famous cellist, conductor and composer Pablo Casals, the festival brings to San Juan the world’s most important musical talent. 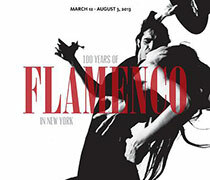 Flamenco Vivo is partnering with the NY Library for the Performing Arts at Lincoln Center on a five-month exhibition, 100 Years of Flamenco in NYC. Ballet Flamenco de Andalucía presents 'Metáfora' in Washington, D.C.
Flamenco's finest dancers and musicians from Andalusia perform in Washington, D.C. as part of Flamenco Festival's 2013 U.S. Tour. 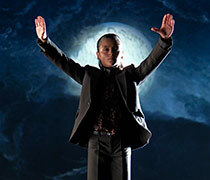 An intersection of visual art and dance based on the poem The Little Mute Boy by Federico Garcia Lorca with an original score by DIGITAL 21. Direct from Madrid, the award-winning La Compañía de Manuel Liñán performs live flamenco and teaches flamenco dance and music cursillos. 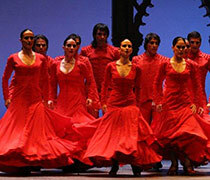 Flamenco's finest dancers and musicians from Andalusia perform in New York City as part of Flamenco Festival's 2013 U.S. Tour. 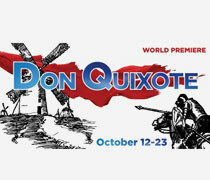 The nation’s premier festival of the Hispanic opera presents a month of concerts, opera, panel discussions and classes. 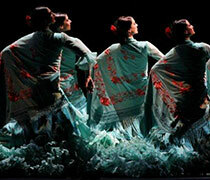 Flamenco's finest dancers and musicians from Andalusia return to Washington, D.C. as part of Flamenco Festival's 2013 U.S. Tour. 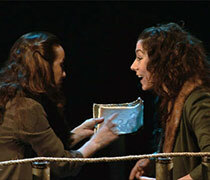 The award-winning parody of the classic Medea returns to Chicago for one night only! 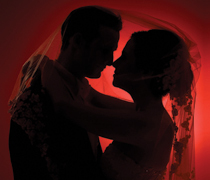 Under the direction of Founding Artistic Director Carlota Santana, Flamenco Vivo transcends cultural boundaries with its cutting edge, dramatic works that the Washington Post has called intense and vivid. Internationally acclaimed flamenco and Spanish dance company Flamenco Vivo/Carlota Santana performs at Strathmore in an exciting evening of Spanish dance and music. 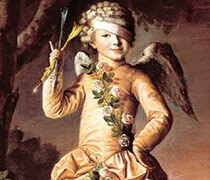 The baroque Orchestra of New Spain produces the first modern staged production of the baroque zarzuela, Nuevas armas de amor (Cupid’s New Weapons of Love), by Sebastián Durón and José de Cañizares. Company E presents FEW by Barcelona's Thomas Noone and Nuria Martinez, with an original score by Madrid-based Arbol as part of Dance Month at the Kaplan Theatre. 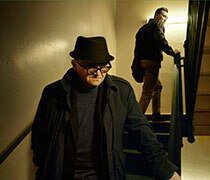 This is your last opportunity to witness the works of acclaimed contemporary Spanish playwrights with Guillem Clua's Marburg. Edwin Aparicio, curator of GALA’s Fuego Flamenco since its inception, leads his dazzling troupe of dancers, cantaores, and guitarists from Spain and the U.S.
Company E presents a new choreography at the Lansburgh Theater featuring the world premiere of Thomas Noone and Nuria Martinez' Few. 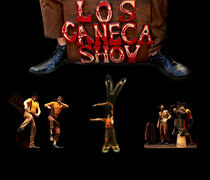 The New Stage Theatre Company updates Arrabal's tale of Lais' dazzling and bizarre journey in this mesmeric production. Flamenco dancer Karen Lugo has garnered critical acclaim for her interpretation of classical flamenco, as well as her passionate style and incorporation of elements of modern dance into her performances. 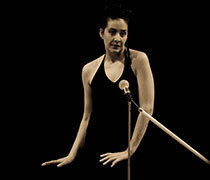 Flamenco dancer Karen Lugo has garnered critical acclaim for her interpretation of classical flamenco, as well as her passionate style and incorporation of elements of modern dance. 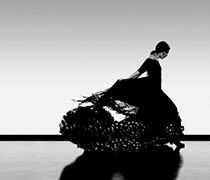 As the oldest flamenco dance company in the nation, Theatre Flamenco proudly presents its 46th annual performance with world class and internationally recognized flamenco artists. 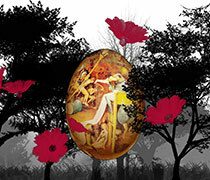 As part of its 15th International Festival of Hispanic Theater, Teatro de la Luna presents Escena Miriñaque’s performance Cartas de las Golondrinas. 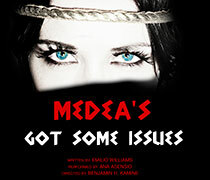 A madcap parody of the classic Medea featured by United Solo. 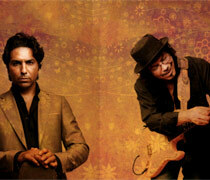 Direct from Spain: a month-long celebration of the Gypsy roots of flamenco. Los Angeles International Flamenco Festival presents Festival Flamenco Gitano in collaboration with the Bay Area Flamenco Partnership in San Francisco. A special Chicago sneak peek at the production that will be featured in United Solo Festival in New York City. GALA stages the popular Golden Age Spanish comedy, El desdén con el desdén, by Agustin Moreto. 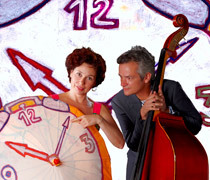 Spanish performing artists Andrea Isasi participates in The Fringe Festival with her solo piece L’extimité. 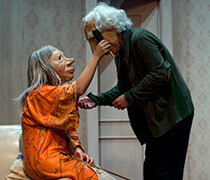 Kulunka Theatre Company presents a stunning mask theater performance. 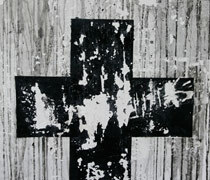 Presented as part of Between the Seas Festival of Mediterranean Performing Arts. When you're alone in a big city, how far would you go to make a new friend? 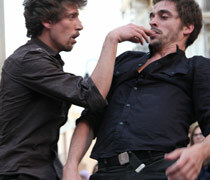 The Barcelona-based collective of artists, por instantes, makes its U.S. debut with La Travesía. The National Institute of Flamenco announces the 25th anniversary celebration of Festival Flamenco Internacional de Alburquerque. 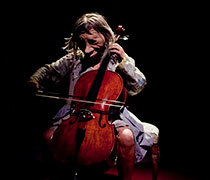 After the great success of Microteatro Miami, For Money, we present the second season, For the Future. 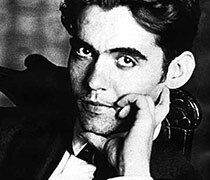 Based on the life of famous writer Federico Garcia Lorca and his murder by Fascists during the Spanish Civil War, Ainadamar celebrates Lorca’s fight for artistic, political and personal freedom. Bilingual world premiere of a new play by the celebrated contemporary Spanish author Jaime Salom, starring the award-winning actresses Soledad Lopez and Kathy Tejada, directed by award-winning Spanish director Ángel Gil Orrios. 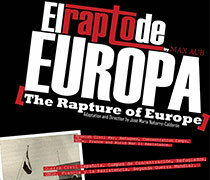 The Department of Spanish & Portuguese, School of Languages, Literatures and Cultures at the University of Maryland presents Los Jimediantes Theatre Company in El Rapto de Europa. 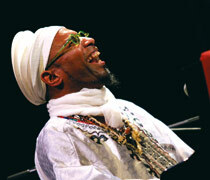 Omar Sosa brings his acclaimed Afreecanos Quartet from Barcelona to YBGF. Dramatized reading and Q&A with author Fernando Savater. It is known that insects are attracted by light. 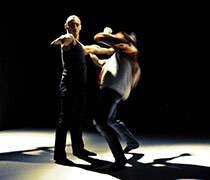 This light-inspired evening has attracted the contemporary dance performance Entomo and the works of 20 artists. 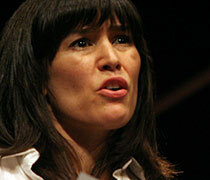 How does a playwright create her characters and bring them to the stage? 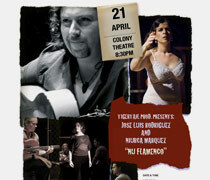 One night only performance by José Luis Rodriguez, flamenco guitarist from Spain with dancer Niurca Márquez. Spain's Barcelona Ballet (formerly Corella Ballet) returns to New York City Center for a second engagement following several successful U.S. tours. 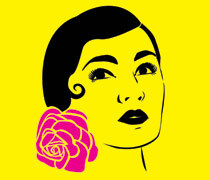 EntreFlamenco Company opens the 2012 Flamenco season at Sirrom Studio with the all-new production Aire. 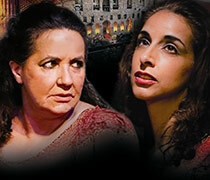 Gala Hispanic Theatre presents a monologue based on the novel by renowned Spanish writer Miguel Delibes, and featuring Spanish actress María Victoria Peña. Participate in this innovative and creative project premiering in the USA. The festival will feature an international roster of deaf and hearing artists in an array of family-friendly, cutting-edge work that welcomes all people to the fascinating world of visual theatre. 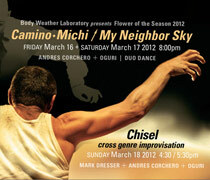 The Flower of the Season 2012 introduces the exquisite work of Andres Corchero, a profoundly fierce, honest and humorous dancer and choreographer whose performance is rarely seen outside of Spain. 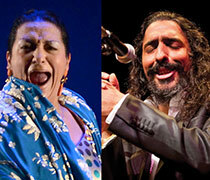 Since 2001, Flamenco Festival USA is probably the most important showcase for Spanish culture outside Spain. 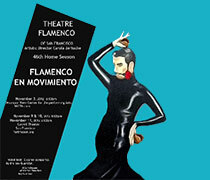 'Flamenco Festival USA 2012' in Washington, D.C. 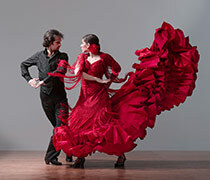 The annual celebration of Spanish Flamenco in Chicago organized by the Instituto Cervantes features concerts and workshops. Hotel Project is a theatrical experience for one spectator at a time, performed in and inspired by a hotel and created by local and international teams of playwrights and directors. In a new modern translation by Tanya Ronder. Farewell tour party and closing performance by Catalan Duet Les Filles Föllen at the Chelsea Modern Gallery. 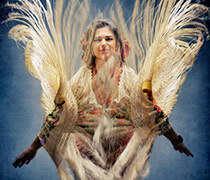 A new production of Falla's demonic flamenco masterpiece starring the legendary flamenco cantaora Esperanza Fernández in her D.C. debut. 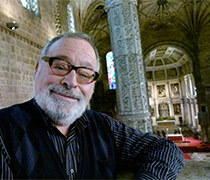 A 90-minute concert-performance with a historical setting in 17th century Spain. 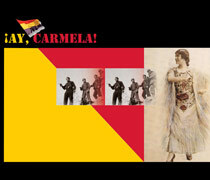 Seventh Annual Flamenco Festival at GALA with artists from Spain and the United States. The Fundación Conservatorio Casa Patas, a leading school of Spanish dance in Madrid, brings their high-spirited performance to your city. Spanish dramaturgy at The Venezuelans in NYC Festival. 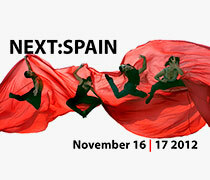 Featuring new choreography by José Barrios & Company with Ana González from Madrid, the dancers are accompanied by four leading Spanish musicians and a cantaor. The 6th Annual Bay Area Flamenco Festival presents Festival Flamenco Gitano on October 22-30 featuring performances by guitarist Diego del Morao, singer Diego el Cigala and dancer Jose Maya in various venues in San Francisco, Berkeley, and Santa Cruz. A Spanish-language adaptation of La Strada , the legendary 1954 Italian film by Federico Fellini. 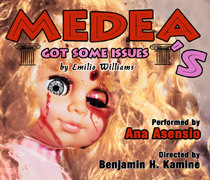 Medea's Got Some Issues is both a madcap parody and a tribute to Euripides' classic tragedy. 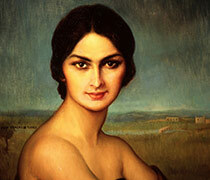 Romántico includes best boleros sung in the 20's by Los Panchos, de La Lupe, de Chelo Silva or Manzanero. Performed by Chicago Sinfonietta, Possokhov’s choreography pulls out all the stops: bullfights, gypsies, windmills and an unlikely hero in a marriage of Bolshoi ballet and earthly Spanish dance. The Instituto Cervantes is once again pleased to offer the Artists Talk Series, a lecture series during which you will have the opportunity to meet dancers, visiting choreographers and musicians who are currently performing in Chicago. Just as she puts music to her poems, Patti Smith manifests her presence at Taiat Dansa, an exploration of the codes and aesthetics of rock’s choreographies. In this darkly funny play of love and loss, a troubadour comedy duo falls into the hands of Franco’s troops during the Spanish Civil War. 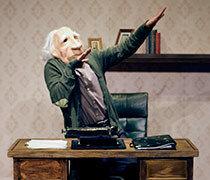 If you liked the award-winning film… you'll love the original play! This showcase of contemporary art from Spain will the frontiers of what we consider art through computer generated images and modern music. Madrid-born Angel Corella first came to the wide-spread attention of dance audiences, critics and choreographers as a principal dancer with American Ballet Theatre. After more than 15 years with ABT, Corella has taken his passion for dance in new directions. Marcelina the hen lived on a farm with a large pond, where ducks, swans and frogs bathed. The hen would have loved to swim and dive like them, but everyone had told her that chickens could not swim. 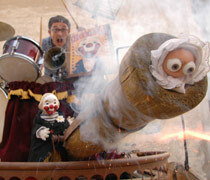 Segismundo, a prince, is imprisoned after his horoscope revealed that he will bring disaster to the country. Some of Spain’s most popular and up-and-coming flamenco stars fill Chicago with music, dance performances, and workshops. 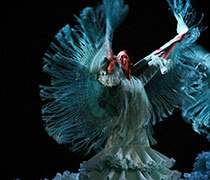 Taking place in many venues around the city, the festival celebrates this time-honored, Andalusian art. 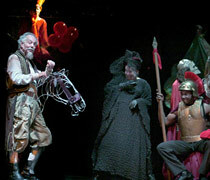 El Quijote, adapted by Santiago García and directed by Jorge Alí Triana, is a carnivalesque adaptation of Cervantes' masterpiece. 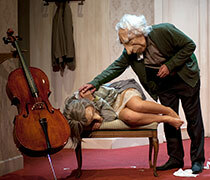 You are viewing our Performing Arts archive.